Chapter 1 He began his new life standing up, surrounded by cold darkness and stale, dusty air. spicies - "This is the last one" they said when they sent up the first girl to ever be in the maze. Will they make it out???? 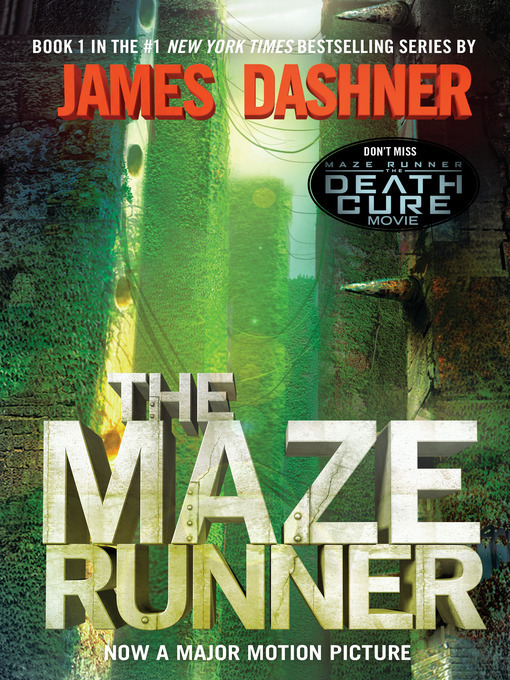 The book that I recently read is called The Maze Runner by James Dashner. It is the first book in a series and was published in 2009. The book is written for a young adult audience and contains dystopian and science fiction elements. The book was super intense book with a lot of action and challenges to escape the deadly maze. Overall, I rate this book a 9 1/2 out of 10. In the book, The Maze Runner, the glade known as the middle of the maze is run by 2 of the main characters, Ably the leader and Newt the second person in charge. One day, a boy named Thomas was sent up into the maze not remembering anything at all, except for his name. Thomas was just a boy, but he was different than all the other boys in the maze. He was smarter he remembered things that they didn't. Thomas was also a good leader to the group. Since Thomas was super athletic and brave, he became one of the maze runners. A few days after Thomas' arrival into the maze, a girl named Teresa came to the maze, and she was the first girl ever there. She arrived with a note stating this is the last one. After a couple of days running the maze, Thomas noticed a pattern with the changes in the maze. Also, he thought he might have found a possible way to use this pattern to get out of the maze. In the book, one of my favorite parts was the layout of the maze. Most of the glade was a flat open field and a small portion of it was a forest. In the maze, there were scary obstacles and tough deadly things like traps that could kill people as well as the grievers. Another one of my favorite parts was when the doors were about to close one night. Thomas ran through and had to survive the entire night in the maze. This was really action packed and kept me interested. The novel reminded me of the movie the Hunger Games, because they had to survive a tough world and many different things could kill them. For example, a scientist in the book who controls the maze tries to attack the children in the maze. This is similar to when they shot fireballs at the main character Katniss and tried to hurt her in the hunger games. In addition, in the Maze Runner, the scientist intentionally left the doors open. He was trying to hurt the people of the maze by a letting in the Grievers. So, the book and movie both had some of the same elements. I have read other books like this and this was defiantly one of my favorite books out of all of them. I highly recommend this book to people who read the book the Hunger Games or divergent and if you like books that are dystopian. Gr 6-10-Thomas wakes up in an elevator, remembering nothing but his own name. He emerges into a world of about 60 teen boys who have learned to survive in a completely enclosed environment, subsisting on their own agriculture and supplies from below. A new boy arrives every 30 days. The original group has been in "the glade" for two years, trying to find a way to escape through a maze that surrounds their living space. They have begun to give up hope. Then a comatose girl arrives with a strange note, and their world begins to change. There are some great, fast-paced action scenes, particularly those involving the nightmarish Grievers who plague the boys. Thomas is a likable protagonist who uses the information available to him and his relationships (including his ties to the girl, Teresa) to lead the Gladers. Unfortunately, the question of whether the teens will escape the maze is answered 30 pages before the book ends, and the intervening chapter loses momentum. The epilogue, which would be deliciously creepy coming immediately after the plot resolves, fails to pack a punch as a result. 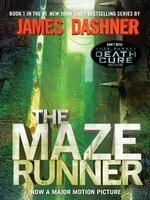 That said, "The Maze Runner" has a great hook, and fans of dystopian literature, particularly older fans of Jeanne DuPrau's "The City of Ember" (Random, 2003), will likely enjoy this title and ask for the inevitable sequel. "Kristin Anderson, Columbus Metropolitan Library System, OH"
Copyright 2009 School Library Journal, LLC Used with permission. Publishers Weekly "Breathless, cinematic action." Kirkus Reviews "Heart pounding to the very last moment." Shelf Awareness, Starred [STAR] "James Dashner's illuminating prequel [The Kill Order] will thrill fans of this Maze Runner [series] and prove just as exciting for readers new to the series."